The “WSM PACT” is a collaboration of two legendary limited-production motorcycle designers: Walt Siegl (WSM) and Mike Mayberry (Ronin Motorworks), industry superstars who joined forces to create a unique machine for Electric Revolution. The “WSM PACT” uses Alta’s sophisticated, high-performance Redshift platform for versatility, and is intended as an ideal tool for navigating the inner city, or flinging dirt. 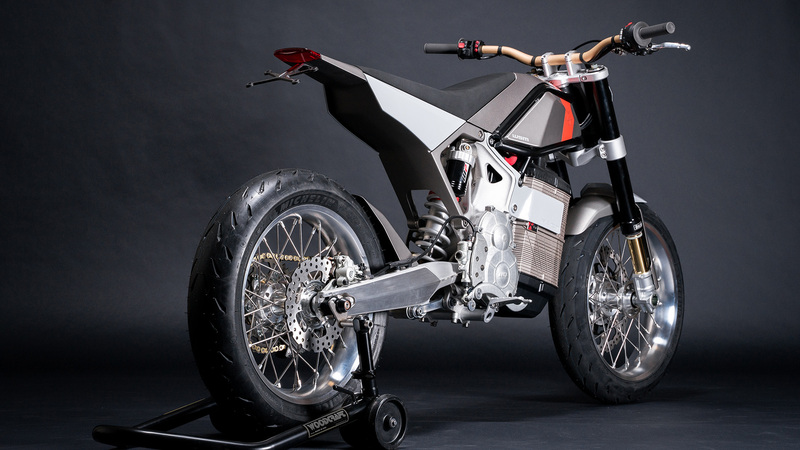 Their design aesthetic resists novelty for its own sake, and uses a minimum of components for an honest, user-friendly, durable, and appealing motorcycle with a serious yeehaw factor.